Westmatic's state of the art truck washing systems are the best way to get a fleet of over-sized vehicles and trucks clean at a reasonable price and in no time at all. We have several systems, depending on the types of trucks in your fleet, and they all beat out the competition with their compact design, reduced water usage, and job versatility. 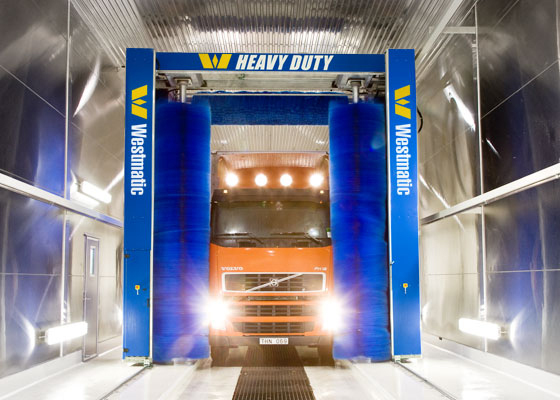 Westmatic has a reputation for providing the most efficient, safe and reliable truck washing systems in the world. We have created three different kinds of truck wash equipment with the needs of our clients in mind. The Rollover Truck Washing System intelligently washes around mirrors and finer details around the truck. The system can be installed in most wash bays and can wash an entire fleet of differently sized and shaped vehicles. It's the one-stop wonder. We typically install our Rollover for companies who wash entire fleets of vehicles regularly and need to get the most effective and thorough clean for the most number of vehicles. Westmatic's Drive-Through Wash System is an embodiment of our ultra-compact design and revolutionary operational concepts. It can wash a wide range of vehicles, from truck to car to heavy-duty vehicle. In fact, lots of clients give their personal cars a regular wash in their Westmatic drive-through, and they love the convenience of having it right there on their lot. The brushes overlap on the front and rear of the vehicle, and brush pressure is electronically monitored by a computer for a consistent wash 100% of the time. Our Touchless Truck Wash Systems are ideal for heavy-duty vehicles which require intense cleaning and decontamination, such as garbage trucks, tanker trucks, and mining trucks. Robotic arches release high-pressure water to wash the front, rear, and sides of the vehicle, constantly adjusting through the Automatic Vehicle Sizing/Contouring System to clean the specific contours of each vehicle. We've got the right truck cleaning solution for your private or public fleet. We'll show you how we can build you a cleaner, more efficient future for your truck fleet. 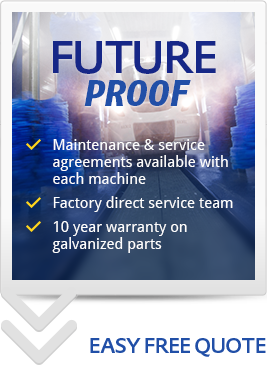 For more information about the Westmatic truck washing system, contact us today.